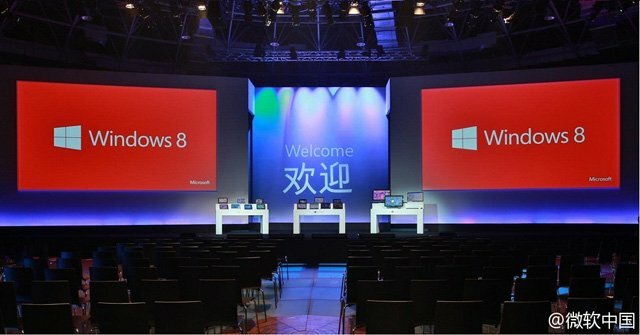 Windows 8, the much anticipated PC OS, was just launched in China a few hours ago, although many are still waiting for October 26 - the fateful day. As we understand, the global launch of Windows 8 will be marked by not one single event, but a whole series of them. The launch will start in China (October 23rd 10:00am local time), and end with the US party on October 26. Steven Sinofsky was there. Yeah Sinofsky the man. Not on a Surface skate board though. Over 50 Windows 8 devices in the hands-on zone, varing from tiny tablets all the way up to all-in-ones. 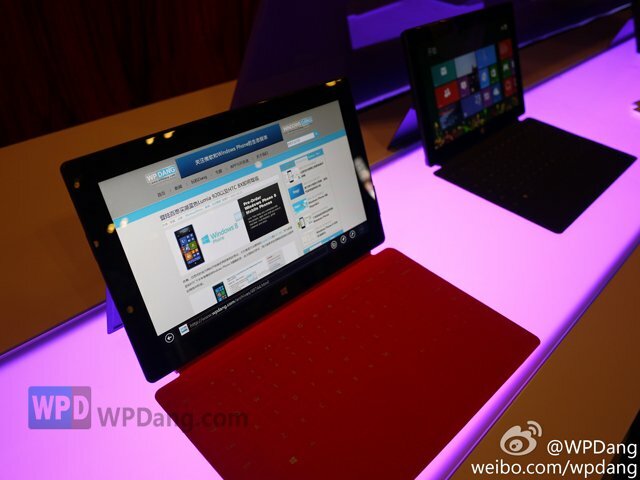 Surface RT, of course, with all 5 colors of Touch Covers. Monkeying around allowed. WPDang had some fun with it, apparently. Availability of Windows 8 OS won't happen today. Will have to wait till the end of the US event. Apparently Xbox Live has been ripped off from the Chinese version of Surface, most likely because video gaming consoles are forbidden by Chinese laws, therefore Xbox 360s are not allowed, consequently Xbox Live and the Xbox brand fall into a grey zone. Curiously Xbox Music seems to be there. They danced Gangnam Style on the stage. Seriously. Side to side comparison: Surface RT (left) is a bit thinner than the New iPad (right). As WPDang's brief comment put it: "[When surfing the web] The scrolling animation is as smooth as that on Windows Phones, more fluid than iPads. All Flash videos we tested play perfectly." Great to know. Some more pictures below. 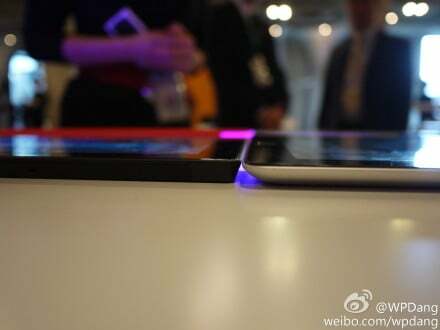 For even more nice pics of the event and Surfaces, click the source link to find them on WPDang. Surface RT, red cover. Looks great. 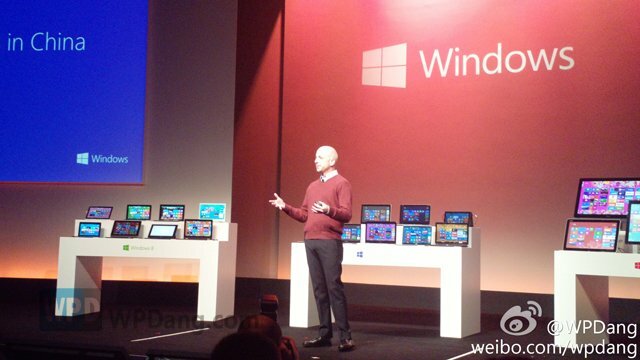 Sources: WPDang, WPDang (video), lead picture credit: Microsoft China.